Released on the Creative Commons license, CC-BY-NC-ND (3.0 Unported). Image download, text and formatting by Jacqueline Banerjee. The label also tells that the "portrait sketch was painted in a single session lasting three hours. Sargent gave it to her, writing on it through the paint 'to my friend Violet'.... In this sketch his free brushwork makes for a brilliant illusion, and suggests the ambiguity of this author who adopted a male name." 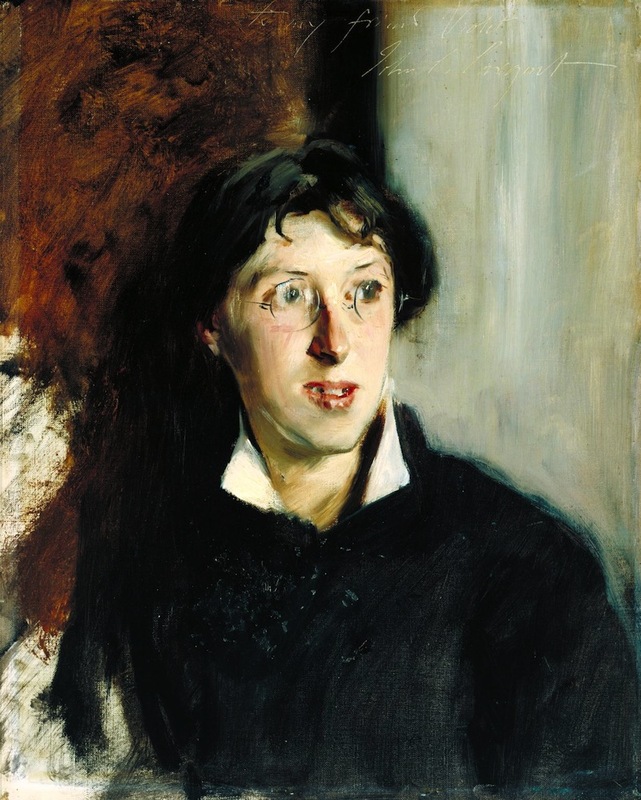 In fact, Sargent's likeness fits well with descriptions of her as "very plain, decidedly masculine in appearance" (qtd. in Stern 151), with short hair and unfeminine clothes, and a penetrating critical intelligence that resists being confined to one gender or the other. Note: Sargent's writing can be seen along the top, from just before the middle. Stern, Kimberly J. The Social Life of Criticism: Gender, Critical Writing, and the Politics of Belonging. Ann Arbor: University of Michigan Press, 2016.